Now that I moved to Wordpress, I can finally set Emacs' font to Input. Wait, what? 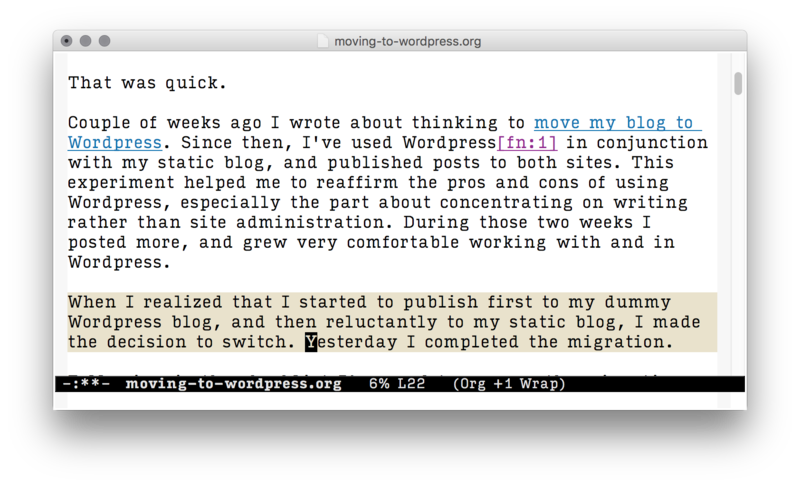 what does an Emacs font has to do with WordPress? Well, in a previous post, I documented how to modify fonts in Emacs. However, I had to rollback the new font, because it broke Pelican's org-reader plugin, which relied on Emacs' configuration. For some reason it didn't like the new font, and decided it doesn't generate HTML files until I revert to Menlo.